Garfield Cartoon Character Graffiti. Look what I found. 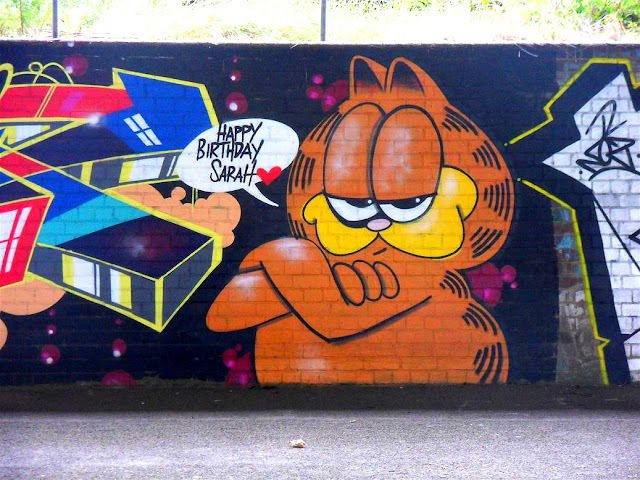 A Birthday message from Garfield. Happy Birthday Sarah. Great little piece. I'm not sure who it was done by, but the colourful block design / writing to the side looks very similar to another really nice piece of artwork that has already been posted on this blog and was titled as "Cool Piecework". You can see that piece here. 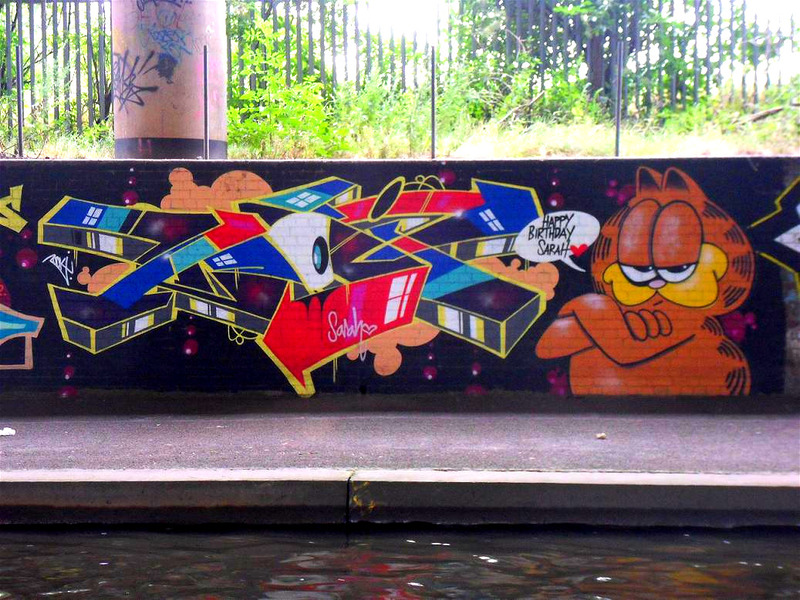 I was sure I seen a Garfield 2 movie being talked about a few months ago. Can't remember where. Is it in the works? Or was I dreaming. 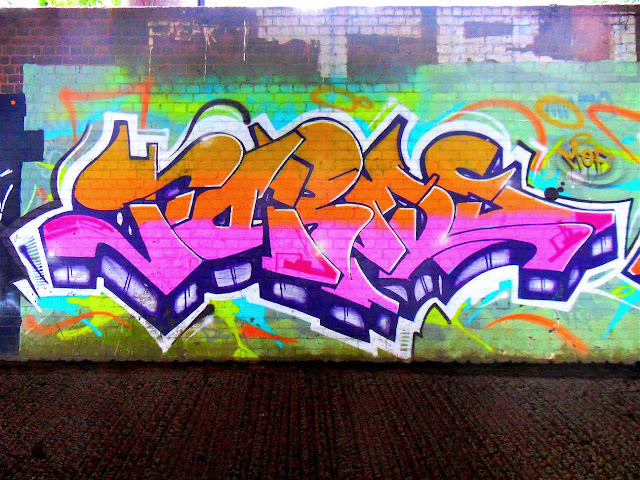 Anyway, cool piece.